In the years bygone contact centers were often termed by the senior management as “cost centers”. But, the companies are now waking up to the enormous opportunities contact center services can provide. Good customer touch points are an essential for boost in revenue and profitability. The voice of an experienced agent can do a world of good to strengthening or weakening the brand positioning and brand loyalty. 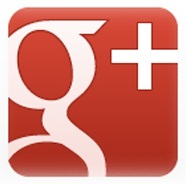 Furthermore, any responsible customer support service is a reservoir of useful information for the company’s growth. Information that helps companies understand customer behavior and motivations. In 2014, the senior management is overlooking the operating costs as long as there is customer satisfaction achieved. Professional customer contact center services can provide just that. Progressive thinking in the customer support services has resulted in the term “Customer Experience Management”. This is an important ingredient in the agent-caller relationship. The term is based on the simple theory that: every communication between the agent and caller at any touch point creates an experience. Total of all the experiences has a great impact on how the customer views a brand. The experiences may be positive or they may be negative. Based on the experiences, a customer either favors or disfavors the brand. This customer decision has a huge impact on the profitability of any company. If a customer has negative disposition, he/she will shift brands quickly (if there is scope for it). Even the loyal customers who cannot shift will opine about their bad experiences in blogs or forums, thus hurting your sales prospects. So, to support the notion of Customer Experience Management there is lots of software used by the agents. All the data is being recorded, to be analyzed later. There are many synonyms to this job such as chief experience officer, vice president of customer experience, senior director of customer experience or vice president of customer care. Whatever be the names, the responsibility of the Chief Customer Officer is to set a formal customer experience strategy. The Chief Customer Officer is also responsible for overseeing the tactics and make sure that they adhere to the major customer touch points. The strategies when chalked should be in par with the company goals to retain the valued customers and draw new customers. The Chief Customer Officer would be responsible for implementing a customer centric culture which would support the corporate strategy. 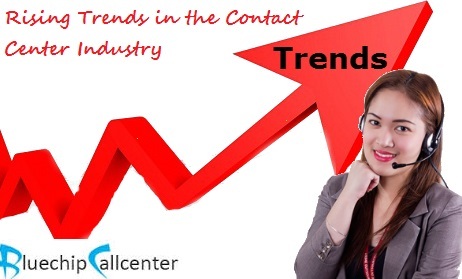 These were three rising trends that we have been witnessing in the customer contact center industry. Customer support services are just one of the many services BlueChip Call Center offers to the customers. Some of the other services that have interested our clients include customized software development, mobile apps development, IVR programming, and customized applications development, among many other things.